Samford University’s Brock School of Business part-time Master of Business Administration program has been ranked in the top tier of “best part-time M.B.A. programs” by U. S. News & World Report’s annual graduate school rankings for 2016. 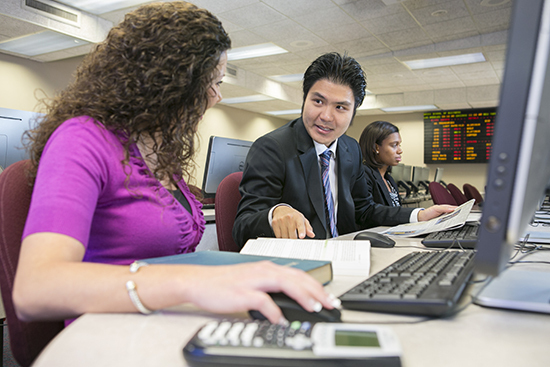 To be ranked, part-time M.B.A. programs must be accredited by the Association to Advance Collegiate Schools of Business International (AACSB). This is the first time that Samford’s M.B.A. program has been ranked among the best. The Brock School of Business M.B.A. provides graduates the skills needed to be successful managers and leaders in a competitive global business environment, according to Barbara Cartledge, assistant dean for academic programs. The core business functions of accounting, economics, finance, operations, marketing, human resources and organizational behavior, management information systems and corporate strategy are taught with a focus on problem solving and practical application in the workplace. Samford’s business school was fully accredited by AACSB International in 1999 and re-accredited in 2010 and 2015, a recognition earned by less than five percent of business schools worldwide. There are 727 business schools in 48 countries and territories that have earned AACSB accreditation. Although Samford has offered business degrees since the 1920s, the school of business as an organized academic unit dates to 1965 when the master of business administration degree was added to the undergraduate program. A master of accountancy degree was added in 1997.